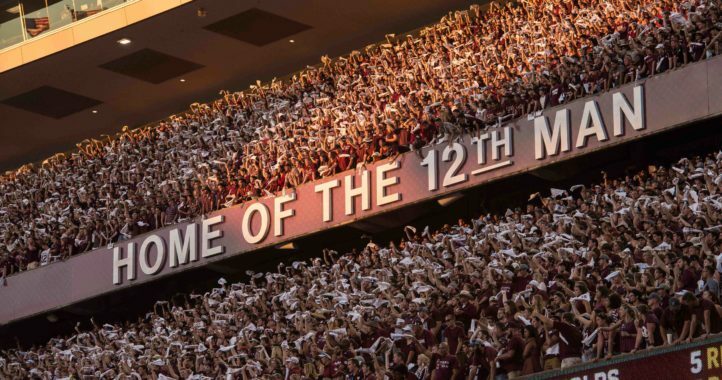 The big game this weekend will be taking place in College Station as Clemson travels to Texas A&M to face the Aggies. ESPN’s College GameDay will be on location for the game that reunites former annual rivals, Jimbo Fisher and Dabo Swinney. 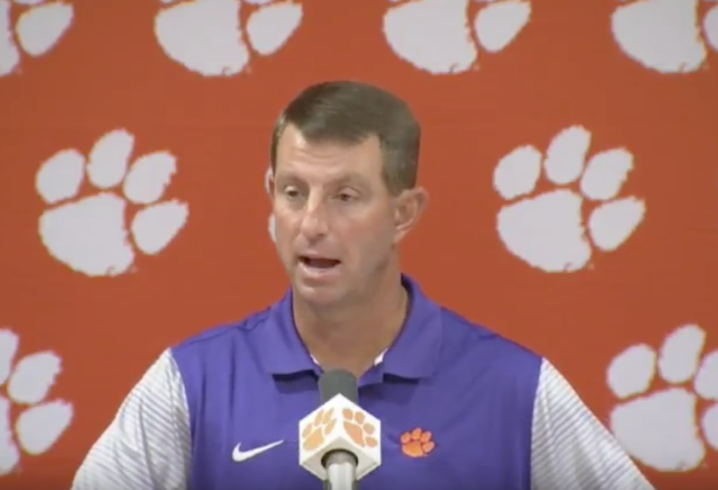 Speaking of Swinney, the Clemson coach met with the media on Tuesday to preview his team’s trip to Texas. “He’s added some fullbacks and tight ends, couple of transfer guys he got in, he’s always been a tight end guy. He’s very diverse, he’ll be heavy in a heartbeat then go spread. Lots of play action. At his core, he wants to run the ball… One thing I always think he’s done well is the screen game. They’ve always been a great screen team. How does Fisher’s hire make this game different than originally planned when you scheduled this game? I’m thinking this one might be a little closer than the line too…as long as we show up, I’m kinda ok with it. “(No.) 46 led the SEC is sacks last year.” No. He shared the lead in sacks. None the less, one hell of a competitor. What a great challenge. Barring a complete implosion, this will give the coaching staff a great look at what kind of players they have to work with this season. I’m cautiously optimistic. There is quite a bit of talent on this team but this should give us an idea of their mentality under pressure. I think their O-Line has trouble blocking our D-Line. This is the week 2 match-up I want to see. 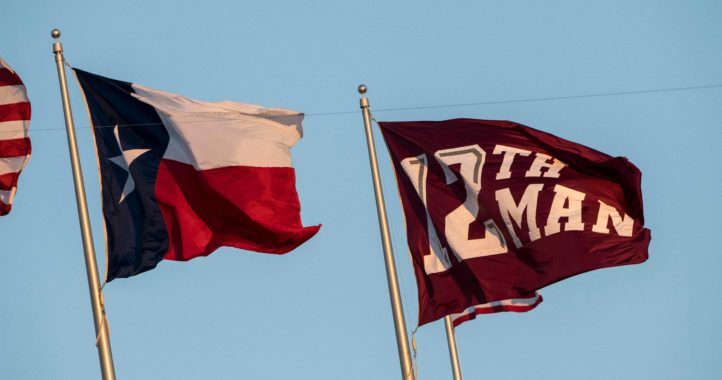 Hope TAMU can keep it close or pull the upset. Play hard, but more importantly, get out unscathed – need you to be healthy when you travel to Bryant-Denny in week 4.